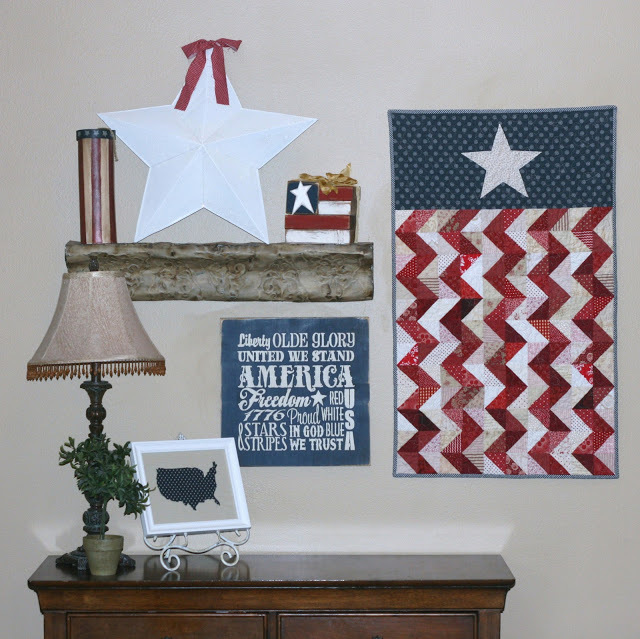 Summer is upon us, and if you haven’t already started thinking about it, you might want to make a fun patriotic wall hanging to display on the 4th of July! Really, a patriotic quilt like this one from Gigi’s Thimble would be great for any patriotic holiday here in the US, or you could hang it year-round. The pop of colors, with the fun and scrappy half-square-triangles make this quilt so fun! Though you could opt for un-scrappy HSTs if you wanted. And don’t you just love the say she styled it!? Get all the details to make your own Patriotic Flag Quilt.